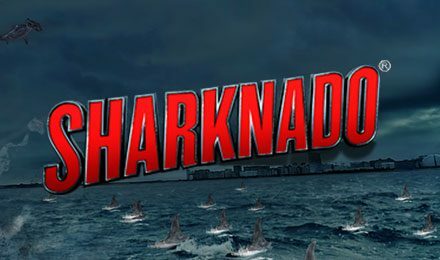 Sharknado Slots | 95.95% RTP, FREE Spins & more! Ever come face to face with a shark? Well now’s your chance! And if you succeed, you’ll be rewarded with FREE spins, multipliers and a killer jackpot! So, what do you say? Be sure to look out for the Chainsaw Scatter because 3 or more will activate your FREE Spins Bonus. Plus, the Wild can help complete winning lines and multiply your prize. There’s a 95.95% RTP, 25 paylines and more! Login and play Sharknado Slots now!